JoAnn M. Redman, age 86 of Maumee, OH, passed away peacefully on Thursday, August 18, 2016, surrounded by her loving family. 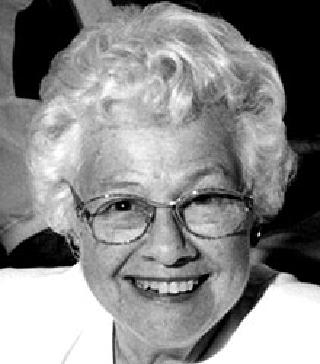 JoAnn was born in Toledo, OH on September 4, 1929, to Joy and Gertrude (Weott) Hughes. 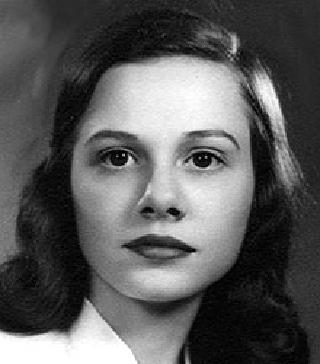 JoAnn graduated from St. Ursula Academy and attended Mary Manse College. She was a member of St. Joseph Catholic Church, Maumee where she was a lay distributor. She also volunteered at St. Luke’s Hospital for 35 years in the outpatient surgery area. JoAnn was an avid Notre Dame fan in both basketball and football. She also enjoyed playing cards, crossword puzzles and traveling with her friends. Surviving is her loving husband of 65 years, Donald D. Redman; children, Mark A. Redman, Karen E. (Jeff) Rood, Jeff H. (Debbie) Redman, and Patty E. (John Koslap) Dukes. Also surviving are 7 grandchildren and 5 great-grandchildren. In addition to her parents, she was preceded in death by her sister, Kathryn Greene. The family would like to thank her caregiver, Nancy Woodward; the staff at Waterford at Levis Commons and Heartland Hospice for the exceptional care JoAnn received. Michael Thomas Gill passed away on Thursday, August 11, 2016, at his home in Maumee, Ohio after a short battle with Hodgkin’s Lymphoma at the age of 78. Mike was born on October 20, 1937, in Toledo, Ohio to Clarence and Lillian Gill. He attended St. Theresa’s Elementary School and Central Catholic High School. During high school he played baseball on the Churchill’s Market team. He played varsity baseball while attending the University of Toledo and was a member of the Theta Chi Fraternity. Later he played Federation baseball for the Dunbar Drillers. Mike was proud to serve his country as a member of the Air National Guard. He married his childhood sweetheart Patricia Ann Hoey (Patsy), and they were married for 54½ years. Mike began his career in sales at Finney Sports and went on to become the President of Taylor Material Handling; he retired in 2001. Mike was an avid sports fan. 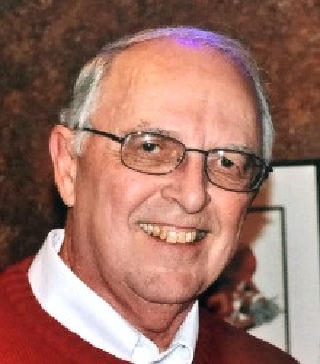 He loved coaching his kids’ teams, and attended thousands of sporting events for his children and grandchildren. He enjoyed playing tennis and handball, and was a die-hard Tigers and Red Wings fan. Mike looked forward to his weekly lunch and dinner dates with his friends and family at Shawn’s Irish Tavern, where he also enjoyed the company and friendship of owner Mike Shroyer and all the girls. He was preceded in death by his wife, the love of his life, Patsy; his parents; brother, James Gill; and sister, Mary Jane Gill. He is survived by, and will be forever missed by his children, Mike Gill, Kathy (Brad) Prater, Jeff (Barb) Gill, Jim (Leslie) Gill; and 9 grandchildren, Drew, Beau, Mitchell, Matthew, Melinda, Chris, Jake, Ryan and Megan. He will also be greatly missed by his many friends that he considered his extended family. Family and friends may express their sympathy and support to the family at The Walter Funeral Home, 4653 Glendale Avenue, Toledo, Ohio on Monday, August 15, 2016, from 2-8 p.m. A Funeral Mass will be held at 10 a.m. Tuesday, August 16th at St. Joseph Catholic Church, Maumee, Ohio. Private entombment will take place at Calvary Cemetery. Many thanks to his awesome nurse Sara, and the rest of the wonderful people at Hospice. Contributions in Mike’s memory can be made to Hospice of Northwest Ohio .